WELCOME TO HEART OF AUSTIN HOMES . COM! 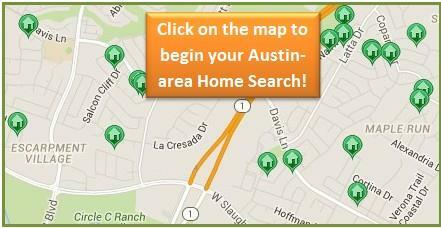 Our goal at HeartofAustinHomes.com is to become your "go-to" source of Austin, Texas area real estate information. I specialize in homes and subdivisions in Buda and Kyle, and in South/Southwest/Southeast Austin. I have successfully helped my clients sell and purchase homes all over the Austin, Texas area. Call or text me at 512/913-1557, or drop me an email (via the "Contact Me" form below). I would appreciate the opportunity to earn your trust and your business. Neighborhoods primarily in zip codes 78610, 78640 & 78619. Get a free comparative market analysis based on the current Austin real estate market in your area. Our FREE Austin relocation packet includes the Austin Relocation Guide. We will gladly send the packet to you.